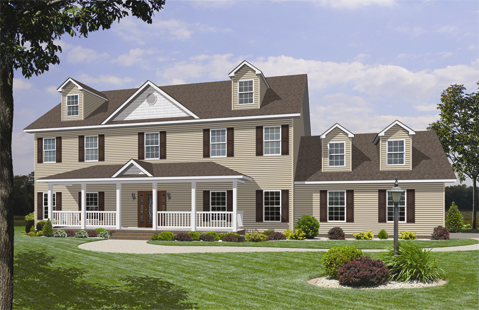 Homes by Vanderbuilt is excited to present the Brandenton, a small but roomy 4 bedrooms and 2.5 bathroom modular home. A home that uses every bit of it’s space, this modular home comes in measured at 2737 sq. ft and is great for those who need a quiet study or an extra bedroom.